I have never been so angry, frustrated, and disappointed in LeBron James. I have followed him from his seven years in Cleveland, defended him when he made his infamous ‘decision’, and loved him throughout his time at the Heat, but what he just put on the court against the Dallas Mavericks, in Game 4 of the NBA Finals, was nothing short of pathetic. Miami Heat lost to Dallas Mavericks today 83-86, with Dwyane Wade playing a desperate game, never tiring and always trying to bail the Heat out of a bad offensive possession. LeBron James was quiet literally nowhere to be seen throughout the entire game, his main role was to bring the ball up the court, apart from that he disappeared on the offensive end. Shooting 3 from 11 from the field, with 9 rebounds and 7 assists in 46minutes, he was on the court the most out of anyone in the game, but to anyone watching it appeared he was on their the least. I have a few criticisms of my hero, and hopefully he can rectify whatever it was that was clearly bothering him. Firstly, ‘wasting time’. Throughout the series I have noted that Dallas bring the ball up quickly, make a play, and rebound strongly on every offensive possession. Whereas, unless it is a fast-break, the Heat slowly bring it up (under pressure from Dallas guards) and either hold the ball or dribble it for 4-8seconds waiting for a play to be made or a screen to be set. There is no fluidity in their offense. LeBron was absolute horrible today for taking 6seconds to get it past halfway, then holding onto to it until there was 10 or 12seconds left on the shot clock. For god sake man, make a damn play, get into a set play or pick and roll quicker. Holding onto to it for 10-14seconds of the shot clock is not how you will win against Dallas. The second thing that irritated me to no-end was ‘passing it off to someone else’. I got the impression that once LeBron had brought the ball up the court, he did not want to create a play or drive past the defender. Instead, he passed it off to someone on the flank, and went and stood, I repeat stood, in the corner. It was as if he was saying “here you go Wade (or Chalmers), it’s not my problem anymore!” That is not good enough, that is not what a ‘champion’ does, especially in the fourth quarter. 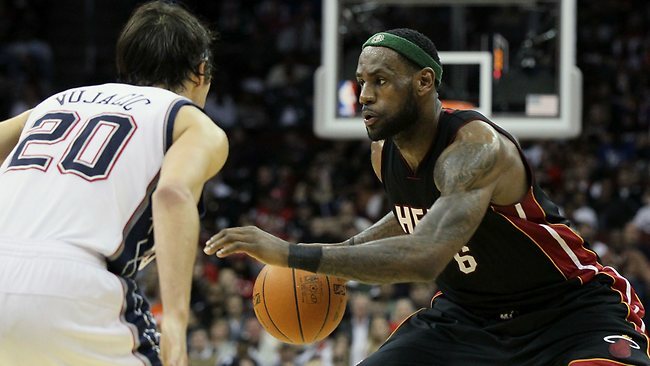 If you must go stand in the corner LeBron, at least fight to get in front of your opponent to simulate a post-up? 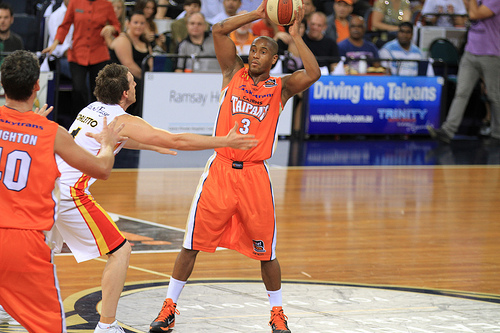 That way you can be used, or the centre (Chandler) will be more conscious and defend the area around your post. The last point I have to make is ‘looking for your shot’. LeBron you have made clutch plays and dominated the ball all-throughout your career. You have been the go to man, the person who takes bail out shots, and you have been successful at it. For the love of God, why weren’t you looking for your own shot in Game 4? Why did I say every time you got the ball in the offense “don’t worry about defending him Dallas, depend the passing lane because he is only going to pass it”. And if you do not believe me, go back and watch the game again, watch the fourth quarter and then do not tell him he gave up on possessions by offloading the responsibility. All throughout LeBron James’ career he has been the mismatch for other teams, they have struggled to find a defender with his strength, speed and ability. In Game 5, I hope I see LBJ posting up Jason Kidd and Jason Terry, he has so many advantages over those two, however great defenders they may be, use your ability and stop offloading the responsibility. 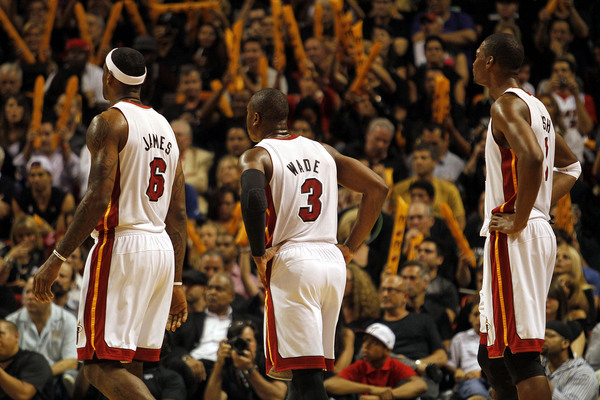 Take it on with Wade, match Wade and Bosh’s intensity and determination. Or else, you will lose, and you will lose 4-2. The biggest, meanest and self-proclaimed ‘king of social media’, Shaquille O’Neal has retired after 19seasons, four championship rings, and 28,596 points. A personality as large as his physical statue the league will sorely miss Shaq’s showmanship, charisma and playfulness. The Orlando Magic drafted Shaquille O’Neal with the first overall selection in the 1992 NBA Draft. Standing at 7 ft 1 in(2.16m) and weighing 325pounds (147kg), Shaq was one of the heaviest and most potent forces to ever play the game. The sheer size and strength of Shaq really came to this writer when he stood next to my idol LeBron James. O’Neal dwarfed LBJ, who is known for his strength, explosiveness and muscular build, when they played together at the Cleveland Cavaliers. Shaq made everyone look small on the court, whether he was standing next to a point-guard or posting up against Dwight Howard (the man who has soccer balls for shoulder muscles), the ‘Big Diesel’ barged his way through his career to a certain Hall of Fame induction. If we were to question his Hall of Fame nomination we could only look past his statistics and achievements, from four championships, three Final’s MVP’s, a League MVP, Rookie of the Year, astonishing 15 NBA All-Star appearances, two time NBA scoring champion, and sitting fifth in points scored in the history of the NBA, and countless other accolades and awards. But it wasn’t just what Shaq did on the court that made him a NBA sensation and global icon; it was what he did off the court. Reflecting on his upbringing Shaq recalled his aim throughout high school and his career was to “make people remember the name Shaquille O’Neal, make people remember ‘this guy was a funny guy’, make people say ‘this was not your average superstar’, this was a regular boy in a big mans body”. 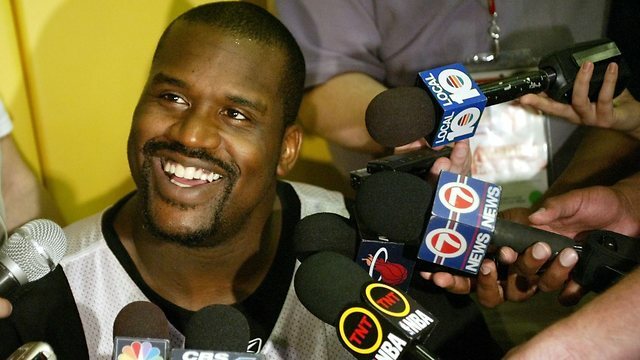 Shaquille O’Neal had a playfulness about him that was refreshing to the media and to all NBA fans as we got to see how much of a human such a dominant and enforcing giant could be. In the press conference he pretended to take a phone call from New York Knicks owner James Dolan, who announced earlier that the Knicks general manager and president would be let go. “You want me to come up there and apply for the New York Knicks general manager job? Sure I will be up right after the press conference,” O’Neal said. Throughout his career Shaq gave himself plenty of nicknames, dubbing himself “The Big Aristotle”, “Shaq-Fu”, “The Big Shamrock”, “The Big Shaqtus”, “Shaq Diesel”, and “Superman”. From a career that spanned movies to rap music to dance offs and to a business PhD, “The Big Leprechaun” says that he is ‘going to miss the competition, and the chase for the ring”. Averaging 23.7points, and 10.9rebounds a game for his career Shaq won three championships with the Lakers alongside Kobe Bryant and one with the Miami Heat. He then went to Phoenix where he tried to help Steve Nash win the elusive championship ring. After moving to Cleveland in 2009 Shaq declared his quest was “to bring a Ring to the King”, but Shaq’s endeavor and conditioning interrupted his time in Ohio. Shaq ended his career at Boston where he stated that if he was fit and healthy “we would’ve won easily”. It wouldn’t be Shaq if he didn’t give us a nickname upon retiring, “From now on, you guys can call me ‘The Big AARP’ – Association for the Advancement of Retired Persons”. It is befitting that Shaq leaves the NBA in good hands, stating that with Kobe, LeBron, and Wade at the helm, success and highlights will surely follow. 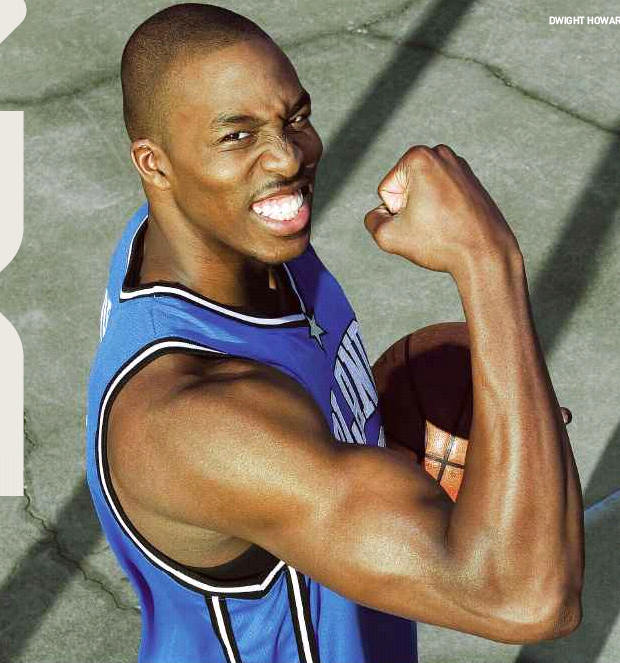 But it is to Dwight Howard that Shaq predicted outcomes by saying that, “There’s only one dominate centre left and that’s Dwight Howard. 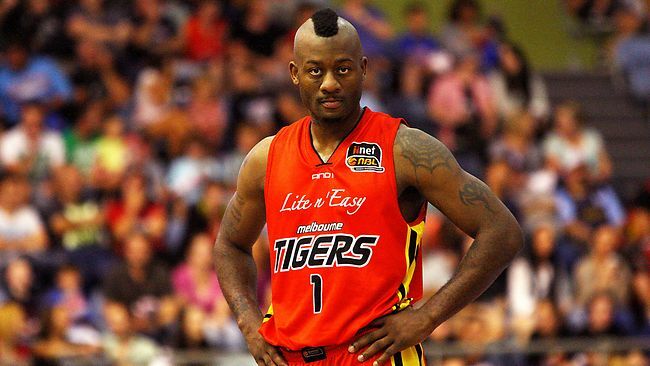 If he doesn’t win three or four championships I’ll be disappointed.” I certainly wouldn’t want to disappoint Shaq. To his future, whether it is continuing his dominance over ‘Social Media’, into a broadcasting position, or to develop his business and brands, we know Shaq will continue to be successful. But I hope that he takes a quieter role, one that other NBA greats have done, and that is to teach the next generation of players. If I was Dwight Howard I would be paying and begging anything to get Shaq as a mentor, and hey if you don’t believe Shaq can teach Dwight anything, just check out this dance off video on YouTube. Who Will Reign – Dallas or Miami?